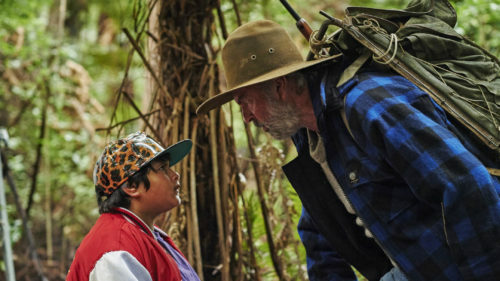 Bring the family down, get your friends together and enjoy a classic kiwi movie at this unique outdoor event in your town. Entertainment from 7pm, and movie screen time approx 8.55pm. Food and refreshments available. Brought to you by the Franklin Local Board. Sunday 24 February 2019, the annual Waiuku Rotary Sunset Coast Walk is back! You can choose from a range of course set at 5km, 7km, 8km or 11km. Get out and burn off those summer treats, or take a Sunday stroll. Waiuku Rotary raises money for the local community and projects. We have recently donated to local schools, the Waiuku Yacht Club and notably the Kariotahi Surf Life Saving Club. As part of Sea Week, Awhitu Landcare and Franklin Local Board have organised walks in Waiuku and Awhitu. Discover what picturesque surroundings and sea vistas we have in our own town for everyone to enjoy. The Waiuku Walk will be from the Museum to Sandspit Reserve, then via Elsie foreshore to McCall Drive and back to Tamakae Reserve. Meeting at the Tamakae reserve at 11am for the best harbour views. This is a gentle walk and will take 60-90 minutes. Bring a picnic & refreshments for lunch on the reserve after the walk. As part of the Auckland Arts Festival 2018, the very talented Anika Moa is bringing her show for kids to Waiuku! Performing songs from her wildly successful “Songs For Bubbas” albums, “Chop Chop Hiyaaa!” is a rollercoaster ride of cheeky stories, fun family singalongs and lots of dancing! Four hours packed full of adrenalin pumping action, displays and entertainment to keep you revved up! This event has something for everyone. Cars, Hotrods, Bikes, the Kumho Jet Car, NZ Freestyle FMX Motorbikes doing extreme stunts, the Armed Offenders Squad and NZ Police Dogs display, Fire Service display, Car Crush, V8 Bottle-O chainsaw & Harley chainsaw racing, Live bands including the ‘Hot Diggity’ Bluegrass band, ‘Mind Over Matter’ local rock band and the ‘Sunset Coast Big Band’, a Kids carnival, ‘Franklin Rockers’ rock n roll dancers, a huge Food & Craft Market, and much more! Bring the family for a fun filled day. Gold Coin entry per person. Parking is available in the Waiuku Business Park opposite Z station on Kitchener Rd, at View Road School, Kevin Lawrence reserve behind the Library/Service centre on King St and in Victoria Ave. Disabled parking is available next to the St. John Ambulance headquarters in Constable Rd. To register your vehicle click the Steel ‘N’ Wheels button on the Homepage. To apply for a stall at the market, go to the Events tab on our Home Page, hover on ‘Waiuku Steel N Wheels 2018’ and in the pop up menu select ‘Stall Registration’. This is a fantastic event for the whole family to enjoy. Remember your gold coins to ensure the continuation of this wonderful community event. See you there! Steel ‘n’ Wheels 2018 is proudly supported by NZ Steel, SteelServ, Franklin Local Board, Blue Sky Community Trust and the Waiuku Business & Development Association. Entertainment and Markets from 11am and PARADE at 2pm. Come and join us for the magical Waiuku NZ Steel Christmas Parade on Saturday 8th December. From 11am the town centre will be full of festive cheer with live entertainment, local performers, the Christmas Market full of treats, Santa’s grotto and more! Have your photo with Santa, do some shopping and enjoy some delicious treats from the market or the local cafes. Find a good spot ready for the Parade at 2pm. Rain save date is Sunday 9th Dec at the same times. The walk is on farm tracks and will cross minor roads. These and the cliff-top (even though fenced and patrolled) are potential hazards so children must be supervised by a responsible adult at all times. Registration can be made via mail, or on the day at the start. 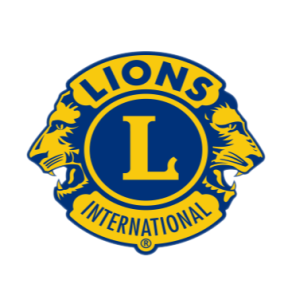 Since 1977 Waiuku Lions have organised the 8km fun run that starts on the sands of Karioitahi Beach and ends in town. Originally the finish line was near the tidal “mud” of the Manukau Harbour, however it now finishes in Massey Park adjacent to the Lions Station club rooms where there are plenty of activities for families. The 2019 Sand to Mud will be called “Run for Reid” and is dedicated to fundraising for a local youngster’s medical expenses.